→Aroma-Ace – The Best Home Diffusing Machine? As always, we at the Health Base did our due diligence when we went about searching for a top-grade unit. 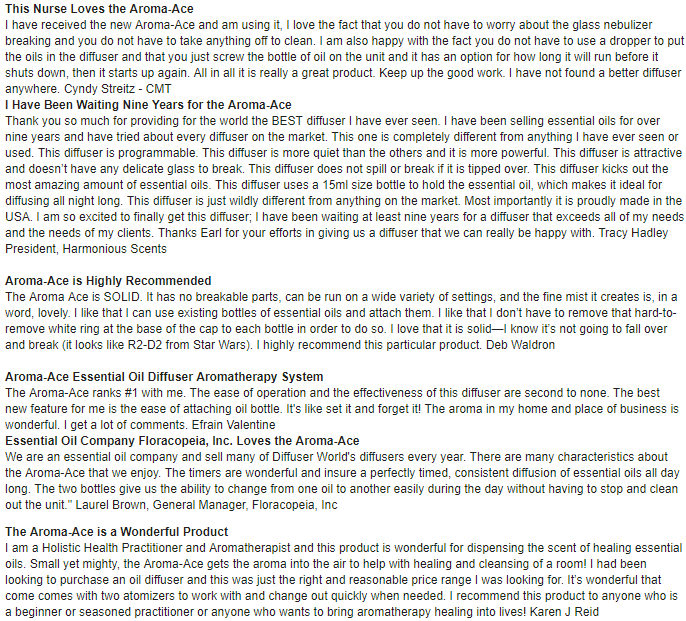 After trying several of the leading brands, as well as taking into account the mountain of customer feedback, reviews, and testimonials available nowadays on the web, we settled on the Aroma-Ace™ Atomizing unit. Below I have outlined the key aspects of this device which will help explain why we were so taken with this product. But first, what exactly is this machine? Essential Oil diffusers are machines that have been specifically designed to create an environment filled with the essence of the oil that you’ve chosen to use. A top-quality product will release the essence into the air at the perfect rate and texture so that you can absorb it into your body. This carefully controlled rate of release and fine mist form is the key behind the success of the diffusing technology. By dispersing EOs with one of these handy machines, you can soon enjoy all the many benefits and positives that these substances are renowned for. Now let's look at a breakdown of the actual machine itself. Personally, I love the actual look of this particular machine. I think it looks super slick and even a bit futuristic. This, of course, is perhaps not a massive concern, but still, it’s nice to think that some time and effort has gone into the design. I for one wouldn’t exactly be excited by something that resembles a toaster!! 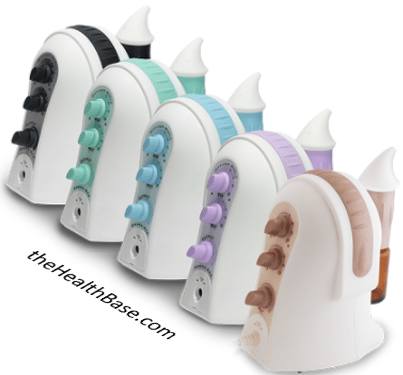 The Aroma-Ace™ diffuser is also available in five different color codes – they being black, green, blue, bronze, and lavender. Again, not top of the list in terms of things to look for, but it’s always preferable to have few different colors to choose from. The really cool thing about this product is that the power source is compatible with all types of plugs. This means that it can be used all over the world due to this universal plug type. This is a weight of the mind for anybody living outside the US. When this machine is in operation, it covers roughly 1,000 to 1,500 square feet. This is a massive area of coverage when you think about it. It’s certainly more than you would ever actually need. This coverage will ensure that you can set up this diffuser in any room of your house, or indeed in your office at work, and know that the diffusing essence will reach wherever you are sitting. A friend of mine actually is very fond of using his own unit when he’s sitting down to work on his laptop. This is a great idea as a key benefit of these substances are that they help to relax and focus the mind. Having such a machine in operation in the background while you are doing some work is therefore a clever way of boosting productivity. The is an area where the Aroma-Ace™ Atomizing Diffuser really stands out from the rest of the pack. 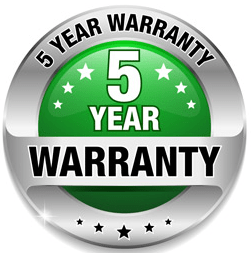 This product comes with a massive FIVE year warranty – this length of warranty is quite honestly spectacular when compared with the other leading brands. Warranty is something that should always be taken into account when making a new purchase. Thankfully, this won’t be an issue with this diffuser – therefore peace of mind guaranteed for a whole five years. The Aroma-Ace™ Atomizing Diffuser is operated by atomization technology. This technology is quite new and is an improvement on the standard vaporizing technology that most competitors use. Atomization employs a cold air pump that transmits the oil through an atomizer which thus transforms the essence into tiny particles. These particles are then expelled from the machine in the form of a super fine vapor that will begin to fill the room with all the goodness that nature has to offer. This method of atomization has been proven to be the most effective delivery system in which to both maintain the scent and healthy properties of any given EO. All it takes is for you to twist a new bottle into the port of the diffuser and off you go. It only takes a matter of seconds to set up the Aroma-Ace™ unit. Also, because this machine has built in timers, it means you can control the length of your diffusing session down to the final second. The following reviews are a sample screenshot taken from the Official Website. Q. Why is Atomizing superior to other diffusing techniques? A. Because it is the only technique that results in no comprising of the of the natural components of the oil. This is because the atoms of the substance in question are atomized on a molecular level. Q. Can I set a timer on this machine? A. Yes you can. This is easy to do so. Please consult the accompanying instruction manual. Q. Will this machine be damaged if it is left running without any oil? A. No. The machine will simply continue to pump out air. Q. Is the power source adaptable? A. Yes it is. This device is fitted with an adaptable power source which means it can be used in many countries; at multiple frequencies; and at wide range of voltages. Q. Is this product electrically certified? A. Yes, this machine has been tested by and accredited with a ETL, UL, and PSA Certifications. Q. What is this product made from? A. It is constructed from durable polypropylene that is both lightweight and time enduring. There you have it, folks – that is what we at the Health Base believe to be the best EO diffuser on the market today and why exactly we think this is the case. I hope that you found this review helpful and perhaps even a little be enlightening. In addition, for everything to do with EOs and aromatherapy, take a look at our EO guide for all the pertinent information regarding this topic.